Water damage is the dreaded nightmare of any homeowner because floods can utterly ruin such a large investment, which is why 911 Restoration Atlanta and our water damage Canton specialists will respond within 45 minutes of a flood. We want to stop the destruction before it gets any worse. We are proud to serve a community steeped in the history American silk production. Canton was originally named Etowah. Local businessmen who were interested in silk changed the name to Canton, inspired by the Chinese city which was a major producer of of the fabric. Canton, Georgia evolved from a territory to a prosperous mill town. Now the area is settled and residents want to preserve their homes and unique heritage. As such our water damage Canton services are geared toward preventing leaks in houses and businesses. We are licensed, insured, and bonded for any flood and water damage jobs, so call us you want to prevent leaks. Whether it’s fire or mold, ruptured hoses or a toilet overflow, the repair process needs to be undertaken as soon as possible to prevent further complications. When water from above or below causes a leak, we’re here for you. 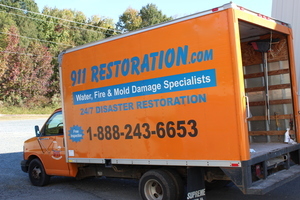 If your home or store location is already taking on flood waters, then contact our water damage restoration Canton team with 911 Restoration Atlanta today! Our water damage Canton team explains how to prevent leaks in your home by paying attention to warning signs such as leaky plumbing, water stains on the ceilings, and low pressure faucets. A leak will turn into a pipe burst and destroy carpets resulting in a flood. Flooding can lead to the growth of mold. Servicing appliances like your water heater, repairing leaks and improving drainage systems are great ways to prevent water damage. We have over 35 years of experience working with all insurance companies to provide an affordable price. We are available 24/7/365 and respond with same day service. 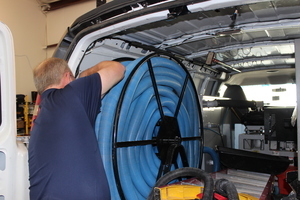 We use the latest drying technology to for water extractions to clean up your property. For peace of mind, we offer a free inspection and outstanding water removal service. Call 911 Restoration Canton so we can show you how flooding can happen. The water damage Canton specialists understand that rain storms and sewage backup can cause flooding to happen. Our water damage Canton company is fully capable of handling any disaster restoration services. Clogged rainwater gutters and downspouts often cause water to pool on a roof and eventually turn to leaks which become floods in your attic, and you won’t find them until it’s too late. If the precipitation does not end up on your roof it will fall right next to the house wearing away on the foundation. First, pooling water can cause the soil underneath to become saturated putting a large amount of pressure on the side of your house. With time, this pressure can cause damage by pushing inward on the basement and lower walls. Eventually they will crack. The second problem is cracks in the foundation caused by soil erosion. When the water finally drains off, it can erode the soil and cause the foundation to settle. This can lead to uneven floors and cracks in walls. Once cracks appear in a foundation, water can enter the home through that area where it causes the growth of mold. Our water damage Canton pros always put the customer first. We value professionalism and will ensure your needs are met. If you have questions about 911 Restoration Atlanta and what kind of disaster restoration we can help with, call us and we will go over the details with you. Don’t let your home fall victim to the effects of a raging torrent without help from the best. 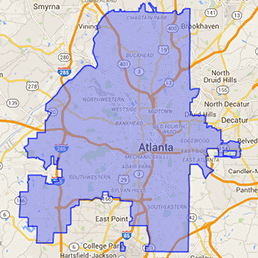 Contact our water damage Canton team with 911 Restoration Atlanta and let our professionals help with all of your needs today!